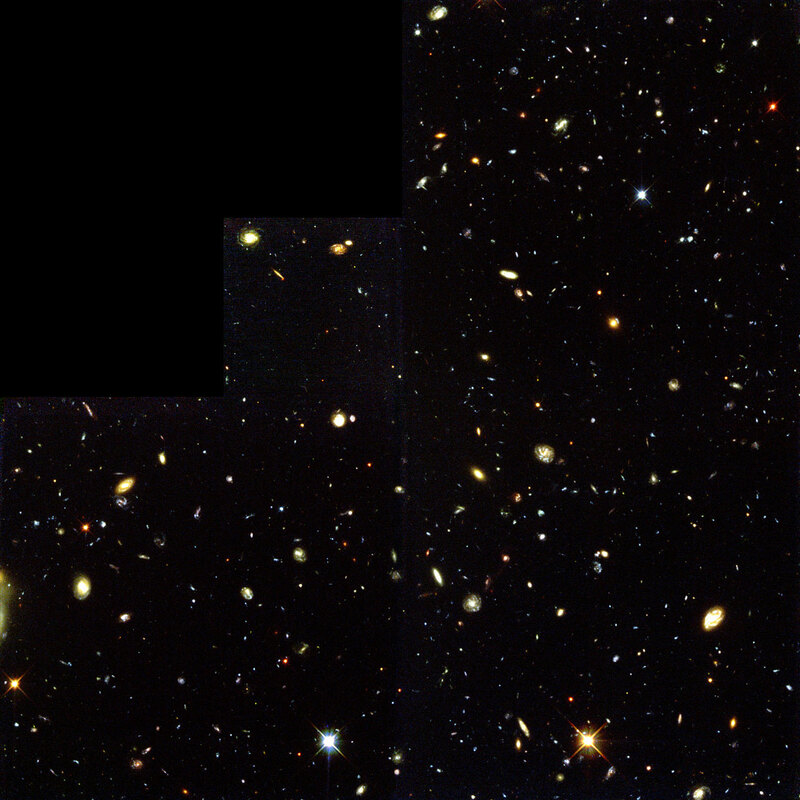 By taking very long exposure pictures of regions of the sky, astronomers have created many deep fields that have revealed much about the early Universe. 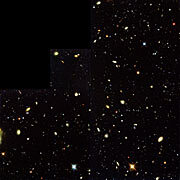 The most famous of these was the original Hubble Deep Field, taken by the NASA/ESA Hubble Space Telescope over several days in late 1995. This spectacular and iconic picture rapidly transformed our understanding of the content of the Universe when it was young. 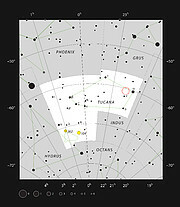 It was followed two years later by a similar view in the southern sky — the Hubble Deep Field South. 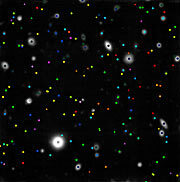 But these images did not hold all the answers — to find out more about the galaxies in the deep field images, astronomers had to carefully look at each one with other instruments, a difficult and time-consuming job. But now, for the first time, the new MUSE instrument can do both jobs at once — and far more quickly. “After just a few hours of observations at the telescope, we had a quick look at the data and found many galaxies — it was very encouraging. And when we got back to Europe we started exploring the data in more detail. It was like fishing in deep water and each new catch generated a lot of excitement and discussion of the species we were finding,” explained Roland Bacon (Centre de Recherche Astrophysique de Lyon, France, CNRS) principal investigator of the MUSE instrument and leader of the commissioning team. 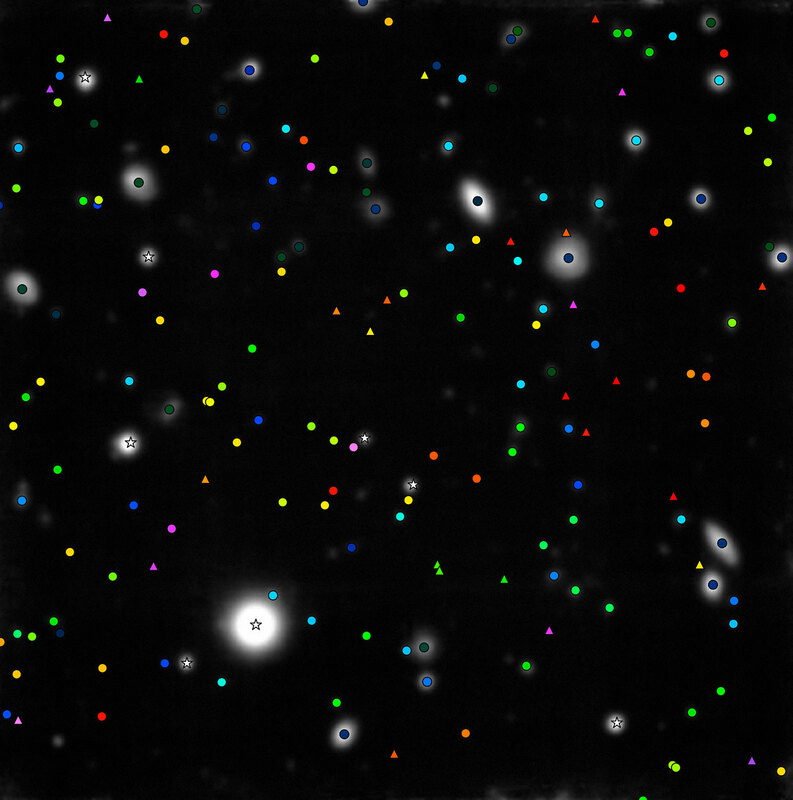 For every part of the MUSE view of HDF-S there is not just a pixel in an image, but also a spectrum revealing the intensity of the light’s different component colours at that point — about 90 000 spectra in total . These can reveal the distance, composition and internal motions of hundreds of distant galaxies — as well as catching a small number of very faint stars in the Milky Way. 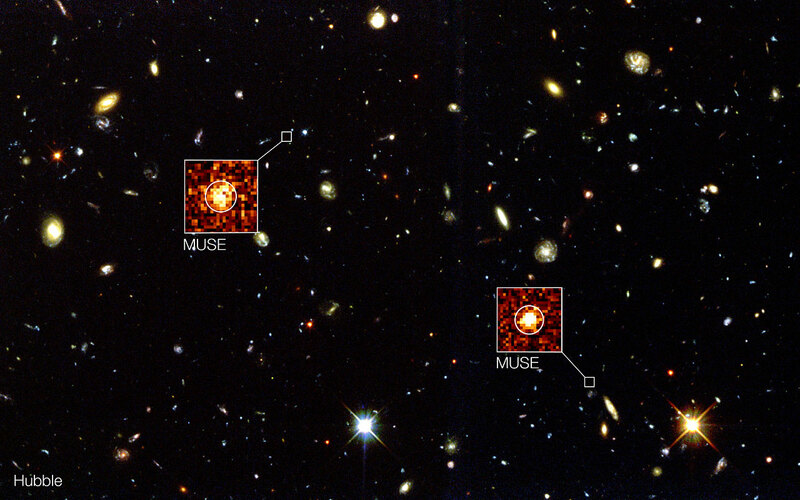 “The greatest excitement came when we found very distant galaxies that were not even visible in the deepest Hubble image. After so many years of hard work on the instrument, it was a powerful experience for me to see our dreams becoming reality,” adds Roland Bacon. Each spectrum covers a range of wavelengths from the blue part of the spectrum into the near-infrared (475‒930 nanometres). 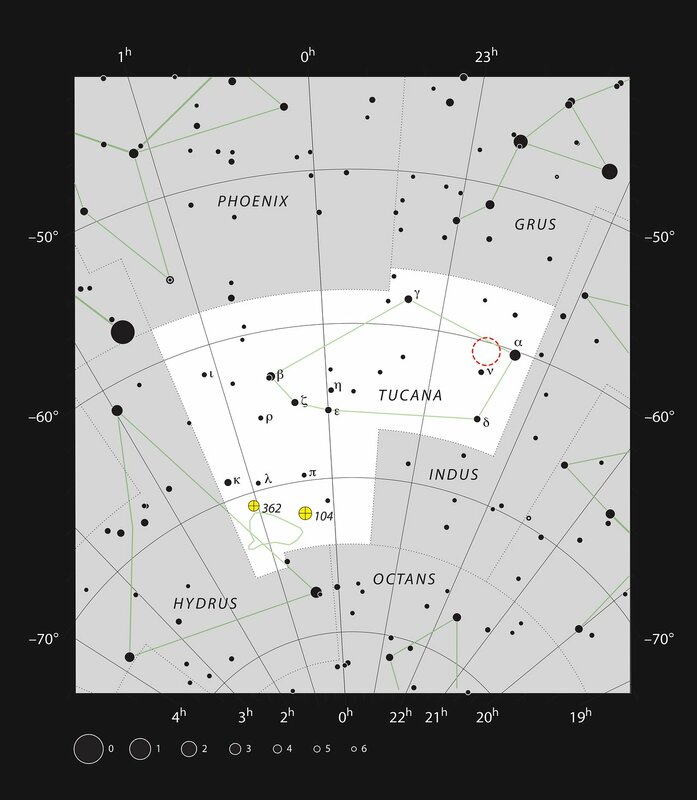 This research was presented in a paper entitled “The MUSE 3D view of the Hubble Deep Field South” by R. Bacon et al., to appear in the journal Astronomy & Astrophysics on 26 February 2015. The team is composed of R. Bacon (Observatoire de Lyon, CNRS, Université Lyon, Saint Genis Laval, France [Lyon]), J. Brinchmann (Leiden Observatory, Leiden University, Leiden, The Netherlands [Leiden]), J. Richard (Lyon), T. Contini (Institut de Recherche en Astrophysique et Planétologie, CNRS, Toulouse, France; Université de Toulouse, France [IRAP]), A. Drake (Lyon), M. Franx (Leiden), S. Tacchella (ETH Zurich, Institute of Astronomy, Zurich, Switzerland [ETH]), J. Vernet (ESO, Garching, Germany), L. Wisotzki (Leibniz-Institut für Astrophysik Potsdam, Potsdam, Germany [AIP]), J. Blaizot (Lyon), N. Bouché (IRAP), R. Bouwens (Leiden), S. Cantalupo (ETH), C.M. Carollo (ETH), D. Carton (Leiden), J. Caruana (AIP), B. Clément (Lyon), S. Dreizler (Institut für Astrophysik, Universität Göttingen, Göttingen, Germany [AIG]), B. Epinat (IRAP; Aix Marseille Université, CNRS, Laboratoire d’Astrophysique de Marseille, Marseille, France), B. Guiderdoni (Lyon), C. Herenz (AIP), T.-O. Husser (AIG), S. Kamann (AIG), J. Kerutt (AIP), W. Kollatschny (AIG), D. Krajnovic (AIP), S. Lilly (ETH), T. Martinsson (Leiden), L. Michel-Dansac (Lyon), V. Patricio (Lyon), J. Schaye (Leiden), M. Shirazi (ETH), K. Soto (ETH), G. Soucail (IRAP), M. Steinmetz (AIP), T. Urrutia (AIP), P. Weilbacher (AIP) and T. de Zeeuw (ESO, Garching, Germany; Leiden).